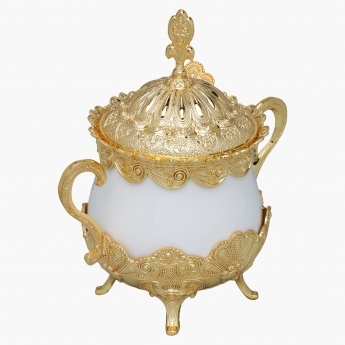 Simple yet elegant in its make, this sugar pot is just the right buy for your dining table. 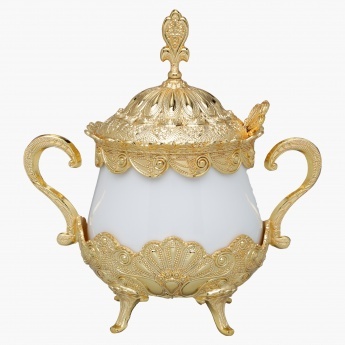 The metallic base and top with a contrasting body ensure to bring out the beauty of the piece. 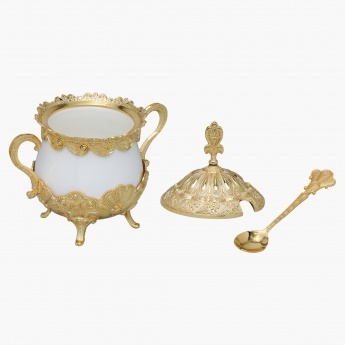 Accompanied with a matching spoon, this set is apt for breakfast time.